Looking good Wayne, may you write for another 30 years! 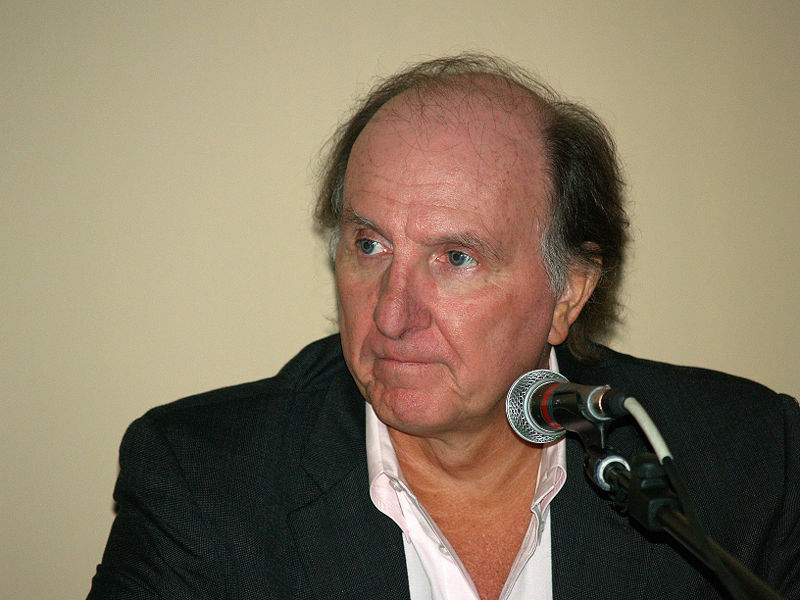 In other media news … Wayne Barrett announced his exit from the Village Voice this morning in an e-mail and blog post. But I was now inheriting a column that Mary Nichols, the Voice’s editor-in-chief, had made famous, and that had been written by greats like Jack Newfield, Ken Auletta, and Joe Conason. A country kid out of Lynchburg, Virginia, where I’d founded the Teenage Republicans, I was suddenly occupying the first two pages of New York’s counter-cultural crier. When I was asked in recent years to blog frequently, I wouldn’t do it unless I had something new to tell a reader, not just a clever regurgitation of someone else’s reporting. My credo has always been that the only reason readers come back to you again and again over decades is because of what you unearth for them, and that the joy of our profession is discovery, not dissertation. In the above letter Wayne mentions many of the instances where he impacted local New York politics, but let’s not forget that Wayne truly upheld the idea of the 1st Amendment for the entire nation. For instance his articles in the Voice directly exposed Sarah Palin’s pay-to-play political dealings in Wasilla (which Palin threatened to sue Wayne over). For me as an intern at Wayne’s desk in 2009, highlights included calling out New York Governor David Patterson for lying and making numbers up in his TV ads and TV appearances. Or going after Bloomberg and Thompson as they ran for mayor in 2010. Wayne really took the nonpartisan thorn sticking to an extreme in his quest to make his great city a better place (yes, NYC is as much Wayne’s as anyone else for the time he spent making it awesome). More than anything Wayne embodied a dedication to journalism and the truth. For example from the hospital facing major surgery to save his life, Wayne still had the time to call us interns, yelling out research tasks and things he needed confirmed as he pushed to meet another deadline. Yes, even facing death Wayne still had time to embrace the most traditional of journalism tasks … yelling to get the story right and get it done. Wayne, you will be missed and thank you so much! I learned more those six months at your desk than I did my entire schooling as a journalist! Oh yeah, as a parting shot for the Voice, New York Magazine reported that Voice Editor-in-Chief Tony Ortega said that Tom Robbins leaving had no relation to Barrett. Wayne says otherwise … you tell me who you believe. This entry was posted in media commentary, New York City and tagged Media, New York, New York City, Village Voice, Wayne Barrett. Bookmark the permalink. I think this is one of the most vital info for me. And i am glad reading your article. However should observation on some common things, The site style is perfect, the articles is truly excellent :D. Excellent activity, cheers.